About 120 miles south from the Texas border, a tall man of concrete stands on the top of a hill. This giant man is in the city of Montemorelos, and people from this town call it "El mono"(the cute one). It stands on top of the Hill of the Cross, overlooking the valley of this beautiful town. El mono is a statue of Jose María Morelos, one of the Catholic priests who led the Mexican War of Independence in the early 1800s. 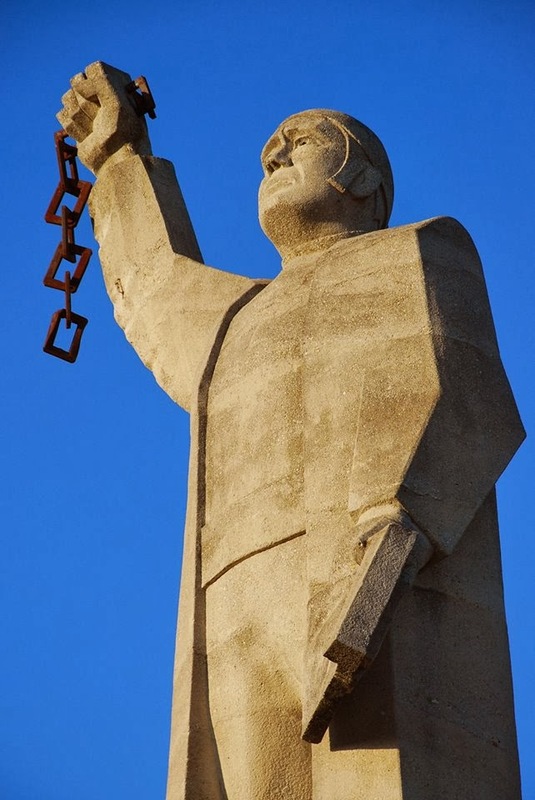 Like the priest Miguel Hidalgo, he was executed by the Spanish for treason in 1815, an act which fueled anti-colonial anger and ultimately led to independence in 1821. I tried to find out why they call it "El mono" to no avail, but I came to my own conclusions. I know we sometimes use this term in Northern México to refer to a person in a not very nice way (a monkey). And I've seen the statue referred to as "The Monkey" in several places, which I think is absolutely wrong. We also use the word "mono" to tell a person they're handsome, or pretty. "¡Que mono (or mona) te ves!" means "you look so cute," so I concluded that's what people meant when they started calling it that way since the 1970s, right after it was built. I love El mono. He saw me grow up. When I was little, I would walk up the Hill of the Cross with my friends and classmates to have lunch, enjoy the view, or talk to the caretaker of the concrete man. Some of my friends would run down the steepest parts for fun, a practice that had taken the life of at least one child. There used to be a cross in his memory, and stories of how he lost his life. 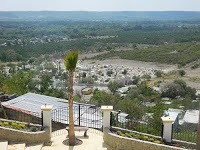 The view from the Hill of the Cross is beautiful. You can see four streets meeting to form an "M," for Montemorelos, and you can also see the Valley of Pilón, extending before you, all the way to the mountains of the Sierra Madre. Next to the hill you can also see the city cemetery, where many of my loved ones are buried, and weird things happen sometimes. Montemorelos and the towns around it are full of ghost stories and witchcraft. I grew up listening to them, and had my own creepy experiences. One time when I was in sixth grade, for example, my friends Ricardo, Alberto, and I, visited the cemetery. At some point, Ricardo started to scream and ran nonstop up the hill all the way to El Mono. He couldn't talk, and just kept screaming all the way up the hill. We ran behind him, and when we got to the top we asked him what happened. He said he had taken a flower from an ornament sitting on a tomb, and that a horrible ghost appeared before him. We couldn't see an entity at the cemetery, but Ricardo was not playing at all. He had been scared to death for disrespecting the dead. El mono has evolved with Montemorelos. It is not just a statue surrounded by a bare hill from which you could easily fall off and hurt yourself. The city has added a lot of lighting and benches, palm trees and protection to avoid falls. It's been many years since I was last there, and I can't wait to enjoy all these improvements and the wonderful view. Check out the pics by Fersonia. Link to Spanish version/Enlace a historia en español.